Community colleges are uniquely positioned to help a vast array of students. One of those categories is first-generation college students. According to the US Department of Education, “first-generation college students are students who enrolled in postsecondary education and whose parents do not have any postsecondary education experience.” This classification places the student at a disadvantage compared to students whose parents graduated from college. First-generation college students often lack a support system that can answer the multitude of questions that arise when applying/attending college. I recently spoke to Stanly Community College (SCC) University Transfer student, Kellyn Cortez-Munoz, who reinforced this idea. Kellyn is a first-generation college student from Albemarle. She said her parents were very supportive of her attending college but did not understand the process. She credits several sources for being helpful with her college experience. First, her older sister attended SCC and was able to give her advice related to many college topics, including financial aid. Next, her program advisor, Claudia Gresham, helped her stay on track and was instrumental in helping her schedule the correct sequence of classes. Finally, Leigh Stewart, SCC’s School of Transfer Counselor, was a positive influence on Kellyn by encouraging her to continue searching for a career. Kellyn is scheduled to graduate this spring with an Associate in Science degree. Kellyn plans on continuing her education by pursuing a Bachelor’s degree and hopes to eventually become an Actuary. First, apply for financial aid by completing and submitting the Free Application for Federal Student Aid. 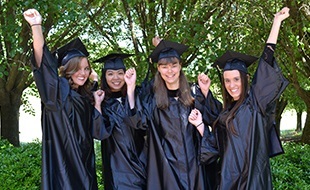 Financial Aid includes free financial assistance with the costs of college. Almost half of our students currently receive Pell Grant assistance. Pell Grants are federal grants for qualifying students and do not have to be repaid. 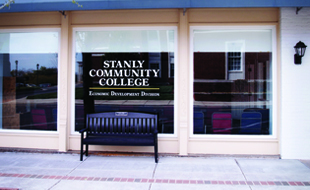 For more information about our Financial Aid Department visit https://www.stanly.edu/future-students/financial-aid. On our Financial Aid webpage, students will find answers to questions about the FAFSA application, scholarships, veterans affairs and more. Get involved with the many different clubs available at SCC. Students who immerse themselves in college activities and find peers or mentors tend to be more successful. A listing of the various student clubs on campus can be found by visiting https://www.stanly.edu/current-students/student-activities/student-clubs. Do not hesitate to reach out to our faculty, Success Coaches, or counselors for assistance. For a full listing of our current Success Coaches visit https://www.stanly.edu/current-students/advising. I encourage you to take advantage of our Academic Support Center (ASC). In our ASC, students can obtain free tutoring, access to computers, a quiet study area, study skills, and test tips. 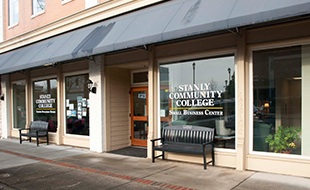 For more details about our ASC visit https://www.stanly.edu/current-students/academic-support-center. Lastly, I encourage you to utilize our Learning Resource Center (LRC). The LRC is not just a library but a valuable resource to study, utilize electronic resources, ask questions, or to find the latest book/movie. 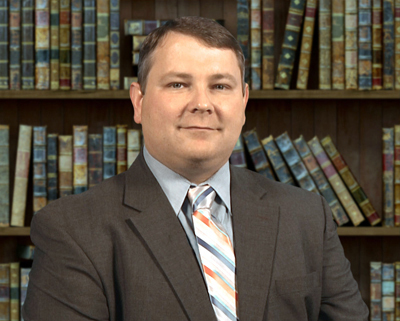 Visit our Learning Resource Center on our website at https://www.stanly.edu/library. The most significant advice I can offer to students is to not be afraid to ask for help. Student success is our top priority, but we cannot help students if they do not reach out. SCC’s faculty and staff are passionate about helping our students overcome all obstacles to become successful. I am proud of the hard work they do and thankful I can count on them as part of our team. 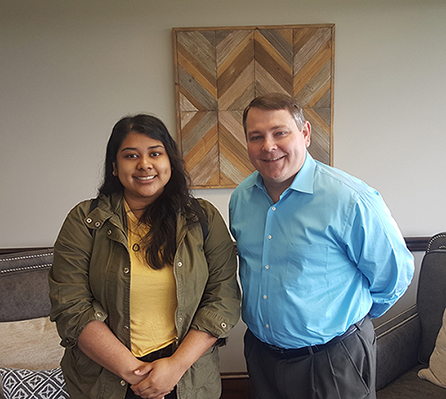 Pictured is SCC University Transfer student, Kellyn Cortez-Munoz of Albemarle and Dr. John Enamait, President of Stanly Community College.